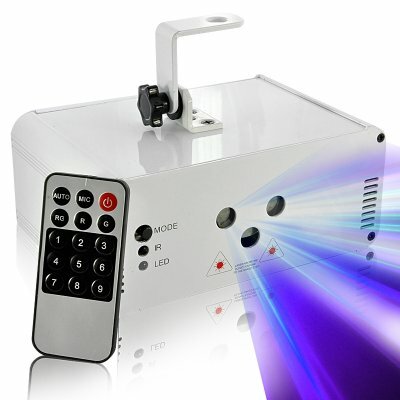 Successfully Added Laser Effects Projector "Lasertron"- 350mW, RGB Lasers, Multi Pattern Projection to your Shopping Cart. 350mW Laser Show Projector with RGB (red, green, blue) lasers, cool multiple laser patterns, and the ability to sync the movements of the laser to music. Professional laser equipment is finally accessible for everyone thanks to Chinavasion's new laser effects projector "Lasertron"! This powerful laser system will help to get your party started. The internal precision-stepping motor of the “Lasertron” with an extra wide 80 degree scanning angle and high speed microprocessor control gives you the high-level performance you would expect from a professional laser projector. Displaying more than 64 laser patterns, the “Lasertron” is truly top of the line. Control the lasers with the buttons on the device or use the included remote to cycle through the different preset patterns. With a microphone and sound sensitivity control button on the back, the “Lasertron” is capable of tuning the patterns it projects to the beat so your laser show is always perfectly in sync with the music. This Laser projector can be mount anywhere that suits your needs, and it is adjustable to easily be aimed at the area you wish to highlight, whether it is the wall, ceiling or floor. 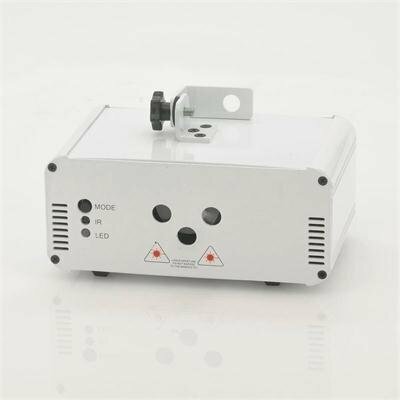 The “Lasertron” Laser Projector is in stock right now and available at an incredible low factory direct price from Chinavasion, leader in wholesale Electronic and Laser Gadgets.